For the new year, I decided that I wanted to really diversify my blog income especially since the summer months is known to be really slow for bloggers. Landing sponsored blog posts was my ultimate goal this year. 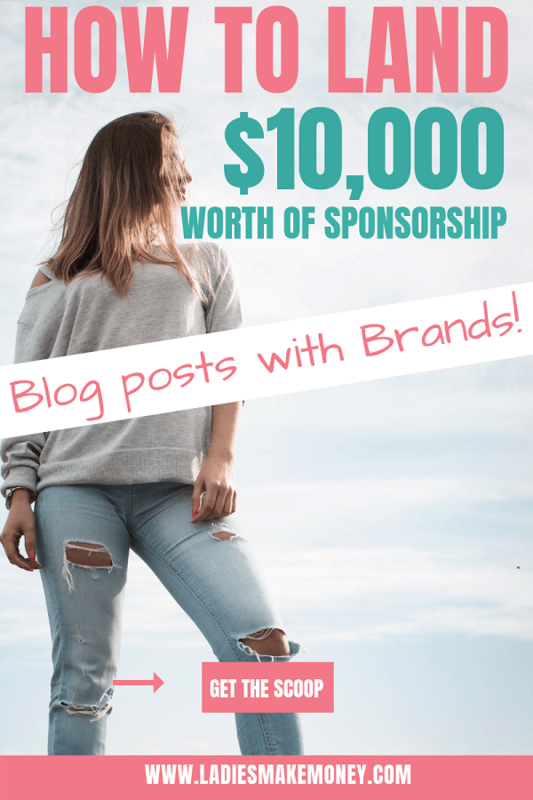 If you are like me, and you are wondering how you can can land sponsored blog posts work with brands, this post is what you need. Most bloggers tend to land blog sponsorship opportunities as their blogs start to grow and they get more blog traffic. This usually tends to attract more brands naturally. But they are ways to land sponsored blog posts immediately without waiting too long. Even with a small blog, you can already start earning money by working with brands. Personally, I love working with brands as it is a really easy way to make money with your blog. And if you are looking for a great way to start making money with your blog, then this is the route to go! Working with the brands you love, can make making money with a blog that much better and much more exciting. This is because you will be doing exactly what you love. If you are looking to start with sponsored blog opportunities you can start here. And for the rest of you that are really looking to boost your income with Sponsored Blog Posts, keep reading. But before we get started on Sponsored Blog posts, we would love for you to join our growing Facebook group right here! Be sure to give us a quick follow on Instagram as well! The first thing you want to do if you want to land sponsored blog posts with brands is to create a work with us page. This makes it extremely easy for brands that may want to work with you to connect with you and contact you right away. You will give out the impression that you are open to work with brands. Your Stats – such as page views, number of people on your email list, social media stats and anything that will highlight you as a business. View our work with us page here! Get work by signing up with brand networks. This is where brands go to find bloggers to work with. Ideally, sign up for as many as you. They are plenty of networks you can sign up for, just make sure you fully complete your profile by outlining your best features. These are a few of the top Blogger Networks to join for paid blogger opportunities. They are plenty more, but you can start with these. If you are interested in landing sponsored blog posts with the top brands be sure to write about them first. You can choose to write about them or tag them on a post. This way they notice and know who you are. They might click over to your site and decide that they love what they see or even really like the post you mentioned them in. This is a great way to open conversational doors and make a brand notice you especially for future work. It’s time to reach out to brands that you want to work with. I land most of my sponsored blog posts by reaching out to brands via email. I personally do not have a media kit, but it is a good idea to create one. Your media kit is a one page document that contains everything there is to know about your business. Media kits will often contain information about your rates, your audience profiles such as social media stats, email list size and other followings. You might also want to add your contact information and any highlights that will help a brand make an informed decision about working with you. Most of the time bloggers do not land sponsored blog posts is because brands do not relate with the look or feel of your blog. Believe it or not, I had a brand reject working with my wedding blog once and then contacted me a year later to say they wanted to partner. All this was because I updated my blog theme and made it more attractive. All of sudden I had more brands contacting me. You do not need to spend thousands on blog themes, here are 8 beautiful feminine WordPress themes for female entrepreneurs. You can also try using Theme forest as they have extremely affordable themes. A simple update to your theme can do wonders on how brands look at you. If you really enjoyed working with a particular brand on a sponsorship blog post, you can turn this in to a long term opportunity. Be sure to save that email and consider contacting the brand in the future. The only way to ensure a positive relationship is to ensure you do an extremely good job in the future. The more long term brand opportunities you can form, the better for you. This means you can make money every quarter or twice a year with the brand. Just negotiate a good contract that works for you. At the beginning of my journey, I really struggled to land sponsored blog posts that were worth it. I didn’t exactly know how to charge, how to contact brands and actually close the deal. And because I wasn’t landing the sponsorship contracts that I need to make more money each month, I knew I needed some extra help and direction. Initially, I wanted to make more than $600 a month from sponsored posts. I needed to find a way to make much more and this investment worked for me just as much. What exactly is included in Making Sense of Sponsored Posts. The course has 5 modules, over 20 lessons, bonuses, an extremely helpful and exclusive Facebook group, and more. You can get Making Sense of Sponsored Posts Here! You can make thousands of dollars each month with sponsored blog posts. If you have the right tools and strategies, this can really help you take your blog to the next level. 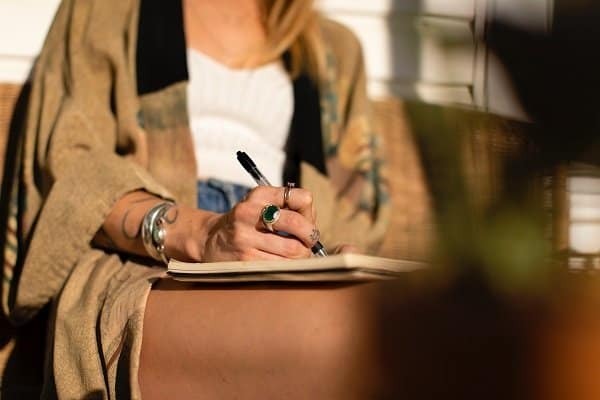 Brands and influencers are working more and more together to help bring awareness to their businesses and you might be just what they are looking for. Do you make money using sponsorship opportunities? If so, we would love to hear from you. Make money from online is very easy now. you can earn from home by sharing your opinion. White Hall Research give this opportunity.